Michael Myers is coming back next year in the new Halloween movie, though it’s unlikely that he will share much resemblance to the indestructible, supernatural force of nature that fans of the franchise may be expecting, but rather a far more stripped down, realistic portrayal of the iconic masked killer. Danny McBride (Eastbound & Down, Vice Principals), who is co-writing the new Halloween movie with director David Gordon Green (Stronger, Our Brand Is Crisis, Joe, Pineapple Express), continues to make the rounds this week promoting his role in Alien: Covenant, but the subject of Halloween keeps coming up. Most recently McBride tells Entertainment Weekly, “David Green is one of my oldest friends. He was my neighbor in my freshman year at college. We’ve just always been buddies, we’ve always worked together, and we have a company together. 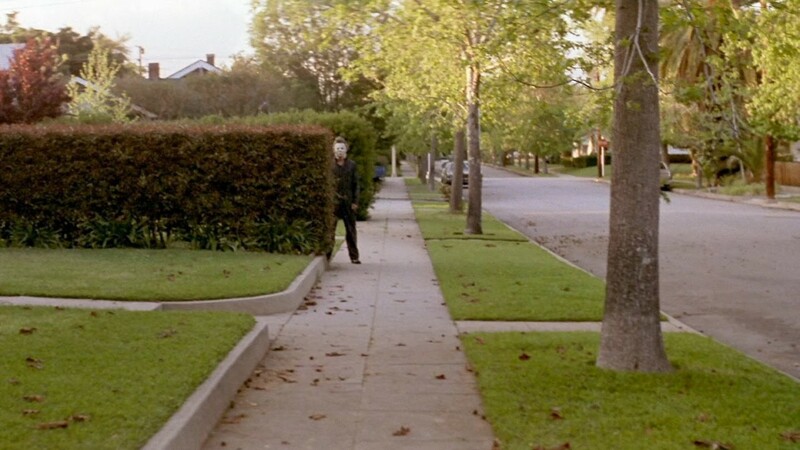 He gave me a call one day and said he had been approached to direct another installment of Halloween. We’re having a blast with it. “We just love that original Halloween. There’s something so scary about how simple it was. I had seen all the Halloween films. We really were studying all the sequels and stuff, just to see where exactly it went wrong. It definitely kind of felt that, as the series went on, Michael Myers became like Frankenstein and he was like indestructible and I think the more indestructible he was, the less scary he became. This definitely echoes earlier comments McBride made last week about taking the franchise back to its roots to make it truly scary again. McBride has previously stated that the new Halloween movie will not be another remake, but rather a “reimagining“. David Gordon Green will direct from a screenplay by he and McBride. John Carpenter will executive produce and may also score the film, with Malek Akkad producing for Trancas and Jason Blum producing for Blumhouse. Green and McBride will also executive produce under their Rough House Pictures banner. Zanne Devine and David Thwaites will oversee for Miramax, which is co-financing with Blumhouse.